3321 Shallowford Rd, Vestavia Hills, AL.| MLS# 834016 | Richard Jacks UABLIVING.com 205-910-2297 | Birmingham AL Real Estate | Contact us to request more information about our Homes for Sale in the Birmingham AL area. Come see this 4 bedroom 2.5 bath 2 story home right off Rocky Ridge Road. 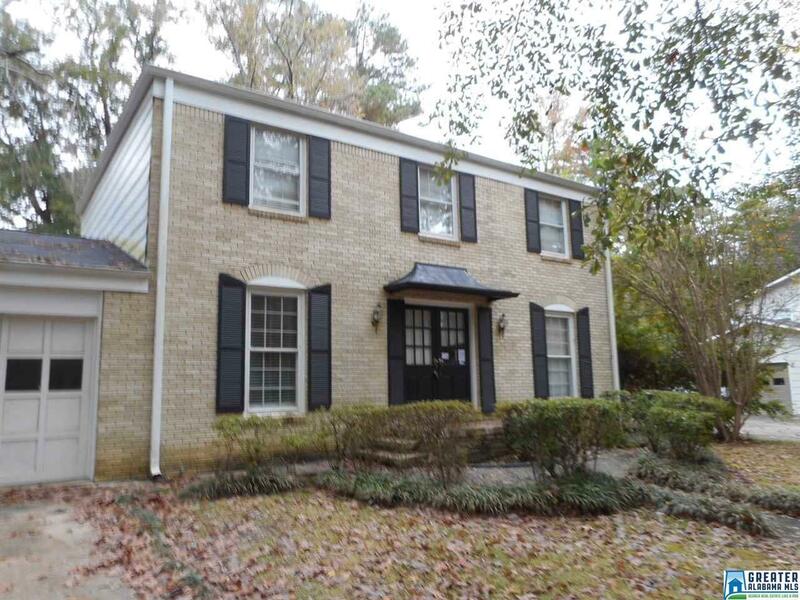 In Vestavia Schools, on a flat lot and private rear yard, large kitchen and eat in area. All the bedrooms are on 2nd floor. Master and bed 4 are large, bed 2 and 3 sufficient, master bath is shower only. In need of some repairs to include: front stoop has cracks; main level duct work may have a few leaks; and misc. repairs typical of age and design. May not last long on market, come make this home your own. This property may qualify for Seller Financing (Vendee). Driving Directions: From Lorna Road Turn Left On Wisteria And Go 1.2 Miles And Turn Right Onto Shallowford Road.